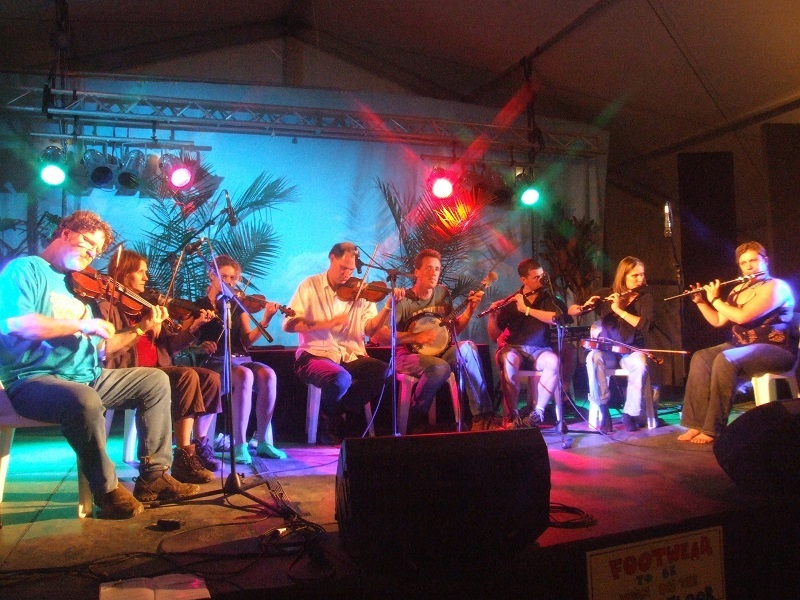 Led by Steve Cook and Robyn Foley, this fabulous group of Celtic musicians and enthusiasts perform an ever-increasing repertoire of Irish ceili dance music. Expert dance caller Davydd McDonald leads the dancing. Irish ceili dancing is an annual Woodford tradition. It gives everyone a chance to reel, spin and go wild with some energetic and exciting social dances from the Irish tradition. Celebrate New Year’s Eve Ceili dancing when you join the Bunya Ceili Band for a fast-paced, lively mix of called old and new dances. First-timers and experienced dancers welcome.